I’m Dr. Frank B. Smoot, MA, DD, Christian weight loss coach and counselor, and I want you to know that there is a much better way — God’s way! Enjoy 100% safe, healthy, struggle-free, and lasting weight loss. Eliminate those frustrating, heartbreaking “gain-back” cycles for good. Do in as little as 7 weeks what you haven’t been able to do in years — or decades! And finally start enjoying the fit, healthy body God intended you to have! Believe me, I know exactly how it feels to struggle and fail at weight loss. You feel frustrated because nothing you do seems to help. You feel depressed because — let’s face it — endless failure is depressing! You may even be angry, because you have a strong feeling that you’ve been misled. And you absolutely don’t want to spend the rest of your life this way. But no matter what you try, nothing really works — especially dieting! So now you’re afraid you’re running out of options…which makes you stressed out…which just leads to more eating…and more self-blame…and more unwanted pounds. Yes, I Know Exactly How You Feel! And I want you to know that you do not have to keep going down that same miserable road — because now you can enjoy safe, struggle-free, and permanent success without drugs, pills, or dieting. If you are sick and tired of weight loss failures, and you’re ready to step outside the “Diet Industry” box, this is going to be the most exciting message you’ve read in years! You’re going to discover how to connect with your Creator — and yourself — in a way that will literally transform your life! “Dr. Frank I tell everyone how easy this is… the weight is just falling off. I went into Weigh Loss God’s Way for weight loss, but I got so much more than that, weight loss just ended up being the final bonus! More than 70% of us are now overweight. An incredible 96% of all weight loss efforts fail. We gain back a heartbreaking 95% of the pounds we do manage to lose. Bottom line: We have a pathetic 5% success rate with weight loss. That’s an “F” grade by any measure! And incredibly, excess weight is now considered a greater threat to America’s welfare than terrorism! You know, every single day I listen to the heartbreaking stories of Christians who suffer the tragic consequences of being overweight. Sometimes I don’t know whether to be sad because of all the suffering — or angry at the greedy “Diet Industry” that’s still pushing all their useless diets and dangerous drugs! Why do I get so upset? Because I know how needless your suffering really is. Because I know for a fact that people who have struggled with their weight for years — or even decades — can turn it all around in as little as 7 weeks. How do I know? I see it happen all the time with my clients! “Dr. Frank! I have lost 61 pounds! My blood pressure is down from 149/100 to 106/74. My total cholesterol is down, and my triglycerides have been reduced by half! And if you are willing to turn away from weight loss the world’s way and discover the power of weight loss God’s way, then your life will be transformed as well! 3. Trying to succeed through “will power.” Once you understand why “will power” is really no power at all, you’ll never waste another minute of your life worrying about it. The sad truth is, those Diet Industry “solutions” are not solutions at all. In fact, they are the three biggest reason why most weight loss efforts fail! Yet those TV hucksters keep pushing the same old junk that’s never worked and never will. You deserve better. Much better. And I’m going to show you how to get it! The Weight Loss God’s Way Success System has already helped thousands of people make their weight loss dreams come true, simply by learning how to properly apply the divine Wisdom of He who made us all. And every day, all around the world, real people like you are using Weight Loss God’s Way to make the changes in just 7 weeks that bring them safe, struggle-free, and permanent success! Safe, healthy, and permanent. Just like God wants for all His children! Is Weight Loss God’s Way For You? It really depends on your goals. If you’re looking to “lose 15 pounds in a week” or “drop 2 belt sizes in 3 days,” I’m afraid you’re in the wrong place. Wait ’til Saturday morning and turn on the tube. The Diet Industry will be happy to sell you…something. Reason #1 – Weight Loss God’s Way is not about dieting! Instead, you will solve your weight problem once and for all — so you’ll never need to diet again! Reason #2 – Instead of just “attacking the symptoms” of your weight problem (like all Diet Industry methods do), Weight Loss God’s Way solves your weight problem at its root! Reason #3 – Diet Industry methods focus only on your body. But Weight Loss God’s Way uses the combined power of your body, mind/soul, and spirit to create the kind of total transformation that brings you lifelong results! Reason #4 – The Diet Industry treats you like some “generic” being and tries to cram you into a “one size fits all” diet plan. But Weight Loss God’s Way treats you as the unique child of God you truly are, and creates a totally custom-tailored program just for you! Nope, and here’s why. You see, all our lives we’ve been told that diet and exercise are the keys to weight loss. And it seems kind of “obvious,” right? But what if it’s just not true? What if old the “diet & exercise” approach is not the path to success…but to endless failure instead? As you will see, both science and Scripture have made it clear why diets are not the answer. The Weight Loss God’s Way Success System is based in part on some groundbreaking new discoveries made during a weight loss research project. This research project analyzed 47 individual studies involving nearly 15,000 people, spanning up to 16 years. Approximately 20-25% of weight loss success comes from eating the right foods (for you) in the right amounts. Another 10-15% of success is the result of getting appropriate (for you) exercise. But an astonishing 60-70% of your success depends on correcting the “hidden root cause” of your weight problem. What does this remarkable discovery mean to you? It means that, even if you had the world’s best diet and exercise program, you’d still only have a fraction of the solution! Bottom line: Those “Christian” diets are no different from ordinary diets. And the sad truth is, diets just don’t work — any of them! Now it’s becoming clear why 96% of all weight loss efforts fail. We’ve been focusing all our attention on diet and exercise — never having a clue that there was a “hidden root cause” of our weight problem we knew nothing about! What is this “hidden root cause” that turns out to be the single most important factor in weight loss success? Please read very carefully here, because once you really grasp what this discovery really means, it will change your life — and your weight — forever. It turns out that, while we’ve been obsessed with finding the “perfect” diet and exercise programs, the real root cause of our weight loss failures was something we never even suspected: our own beliefs! You see, the research revealed that people who struggle and fail at weight loss are plagued by certain “self-sabotaging” beliefs that are silently but powerfully undermining their efforts to succeed. On the other hand, people who got to their healthy weight — and stayed there — were found to have much more “self-supportive” beliefs. Now, at last, we understand why our past weight loss efforts so often failed: Because it’s not our diets we need to change. It’s our minds! “Hi Dr. Frank, I got on the scale this morning and guess what, I am down 61 pounds! I really never quite felt like I was worth loving or being loved. Then I met Jesus. I don’t mean I got saved, I did that, but I also found jesus and he found me. And we built a relationship. A loving caring relationship. I am beautiful in his eyes. There is no other like me, he made me unique and special. Now I care about what some people think of me, but I don’t place my self worth on it. But where did our toxic, self-sabotaging beliefs come from? They came from “the world” — from the people we grew up around, and especially from the Diet Industry! And incredibly, science has now confirmed what the Bible has been telling us all along. The secret of lasting success is not about diet, exercise, or anything physical at all. It’s about replacing our negative, worldly thinking with positive, Godly thinking. Success is literally a matter of renewing our minds! Now, science and Scripture don’t agree on much. But when they’re both telling us that our thinking — and not our diet — is the key to weight loss success, can we afford to ignore the message? Weight Loss Success Is Not About What Goes On Your Plate, But What Goes On Between Your Ears! And for every Christian, this remarkable discovery should be seen as a powerful confirmation that the Word — and not the world — is where we need to turn for real solutions! So we now know that diets don’t work, and we know why they don’t work. But most importantly, we know what does work: correcting our own self-sabotaging thinking! Weight Loss God’s Way Success Secret #3: For The First Time In Your Life, You Will Use The Combined Power Of All Your God-Given Resources — Body, Mind And Spirit! Sad to say, all Diet Industry methods are “body-only” approaches, attempting to create weight loss success with diets, drugs, pills, exercise machines — and even (God forbid) surgery! But do you really think your Creator wants you to lose weight by carving up the body he gave you — hacking parts off of the body he designed and created just for you? No! Your body is His temple! But you are not just a body. You were created body, mind/soul, and spirit! “Through and through” means all of you! God created you body, mind, and spirit for a reason, and all three must be involved in your success. These are His three precious gifts to you. Which of them do you think He would want you to ignore, neglect, or disrespect? Yet when you try to lose weight by diet and exercise alone, you’re relying entirely on your physical body. You’re only running on 1/3 power — completely ignoring 2/3 of your God-given resources! You’re like a 6-cylinder car running on just two cylinders. The result? No power — and a mighty rough ride! …bringing all your resources to the table is the only way to conquer what’s on the table! I weighed in this morning at 243.5 lbs for a total loss of around 26.5 lbs. But Weight Loss God’s Way Treats You As The Unique Child Of God You Truly Are! The Lord did not make you a “generic” being. You were created to be a unique and precious child of God! And since no two people have the same self-sabotaging beliefs, no two people should be on the same weight loss programs! So instead of cramming you into a “one-size-fits-all,” cookie-cutter mold like most weight loss plans and diet books do, Weight Loss God’s Way treats you as the unique individual God made you to be — and designs a custom-tailored success program perfectly suited to your unique needs and your personal situation! I really want you to be clear about how the Weight Loss God’s Way program brings you success, even as “the world” continues to struggle and fail all around you. It’s Not Your Diet You Need To Change — It’s Your Mind! Only when you get rid of your own self-sabotaging beliefs can you enjoy the kind of success you desire and deserve. Unfortunately, most of us just aren’t consciously aware of our own self-sabotaging beliefs. Even the apostle Paul had this very human problem. That’s precisely why the Weight Loss God’s Way program is designed to find and fix your self-sabotaging beliefs — finally opening the door to permanent weight loss success! “I am so very blessed to be a part of your program. I appreciate everything. Dr. Smoot, guess what?!? I have lost a total of 14 pounds since I started. No, they will always have a role to play. But we now know it’s a secondary role. Now we know that the problem you can see and feel (around your waist) is only a visible symptom of a non-visible root cause — your own thinking! And if you are “thinking overweight” — even unconsciously — then you are going to be overweight! And no matter how hard you try to lose weight through diet and exercise, you’re still just battling symptoms, leaving the real, root cause of your weight problem untouched. Not only does this fail to bring you weight loss success, but it also creates tremendous stress. I can tell you from many years of counseling and coaching experience that stress alone can wreck your weight loss efforts. But what if you found a way to eliminate all that stress and struggle? Would that make it easier for you to lose your unwanted pounds? Of course it would! In fact, your life would change in ways you probably can’t even imagine right now. So please hear this: If you have a history of weight loss struggle and failure, it means there are some self-sabotaging beliefs in your heart and mind. And as long as they remain unchanged, it’s just not going to make any difference what diet or exercise plan you’re on. But when your self-sabotaging beliefs are replaced with self-supportive ones, it becomes just as natural to get to your healthiest weight — and stay there — as it once was to be overweight. “Aloha Dr. Frank! – Have to tell you – my weight registered 142.4 this morning when I got on the scale. In fact, you literally go on “auto-pilot” toward weight loss success. Can you imagine the difference that would make in your life? 1. Stop “attacking symptoms!” Stop focusing on food, dieting, calorie counting, etc. Instead, invest your precious time and energy where it will solve your problem. 2. Focus instead on solving your problem at its root. If you have a history of struggling and failing at weight loss, you can be sure that self-sabotaging beliefs are at the root of it. Fix those, and you solve your weight problem forever. 3. Forget “will power,” and discover your connection to the highest power! Will power is really no power at all. So stop struggling against your own self-sabotaging beliefs, and fix them! To enjoy the success you desire and deserve, you must let go of weight loss the world’s way, and embrace the higher wisdom that brings real success. So please — stop putting yourself through all that needless suffering. God Has A Much Better Plan For You! God has His own plan for your health and happiness. It’s much safer and much more effective than anything the Diet Industry can offer. And it does not involve drugs, pills, diets, or self-deprivation. Please understand, you haven’t failed because you have bad genes, because you’re a bad person, because you’re doomed to be overweight, or because God is punishing you. He doesn’t work that way. “Hi Dr. Smoot ….I have to tell you that the changes that are already taking place (in just TWO days) in my life are just amazing to me and I’m so excited to see where I’ll be in 7 weeks! You see, God doesn’t make us fat, and He’s not going to make us thin. But He will absolutely help us succeed when we take the right action! God Wants You To Be Healthy And Happy! God wants you to have it all! If you’re ready to start receiving more of it, Weight Loss God’s Way will fill you with something a lot more satisfying than food! It’s time to stop counting carbs and calories. It’s time to stop listening to the diet industry hype-mongers on TV who want to sell you their latest drug, pill, or diet. It’s time to stop wasting your life away doing what can never bring you victory. And it’s time to start tuning in to the timeless wisdom of your Creator! 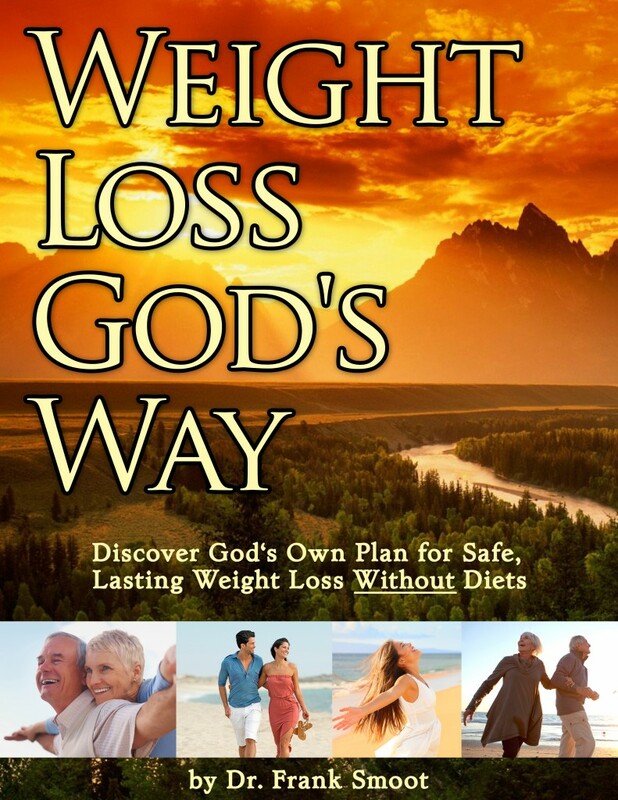 Based on what I have learned about applying God’s word and wisdom in my own coaching practice, I created the Weight Loss God’s Way Success System a few years ago. And now, praise God, this program is transforming lives all over the world! I am really finding it easy to watch what I am eating too and thinking of food differently. When you finally stop attacking symptoms and solve your weight problem at its root, something almost magical happens. You find that the old “effort and struggle” evaporate like the morning dew at the first touch of the sun’s warming rays. As you replace your self-sabotaging beliefs and attitudes with healthy, self-supportive ones, you develop a whole new self-image that brings you a wonderful boost in your self-esteem, and a tremendous increase in your self-confidence as well! And when that happens, you not only look better, but you feel better in every area of your life! When you can accept the simple truth — that the root cause of your weight problem is between your ears and not on your plate — then you hold in your hand the key to safe, struggle-free, and permanent weight loss. When you turn away from the world’s failure-prone ways, and toward the wisdom of He who created you, you enter a whole new realm of power. And when your body, mind, and spirit are all three aligned toward victory, you are unstoppable! Imagine…if you could stop thinking as the world thinks, and stop seeing yourself (and others) through the worldly eyes of judgement and negativity. Imagine…if you could actually start to see yourself as God sees you, and love yourself as Jesus loves you! Do you think you would be inspired to treat yourself better, and start giving yourself the kind of care a child of God truly deserves? But please understand: There is nothing mysterious about how Weight Loss God’s Way produces results. It works just the same for you as for all the other Success Stories. The program is fantastic. Since starting this new life style of losing God’s way I have lost 18 pounds…. You succeed because you are now putting the same proven biblical principles to work in your life! The Weight Loss God’s Way Success System is the only program in the world that brings you permanent success by solving your weight problem at its root! You literally renew your mind by correcting the hidden self-sabotaging beliefs that are the true source of your weight problem. When you replace your self-sabotaging beliefs with self-supportive ones, you permanently eliminate the unseen “inner roadblocks” that were the real cause of your past failures. Then your renewed mind actually helps you reach your healthy goals — instead of invisibly blocking you at every turn. The truth really does set you free, and opens the door to the success you deserve! And best of all, the process is both enlightening and enjoyable! You learn — day by day, step by simple step — how to create lifelong weight loss success in as little as 7 weeks! By renewing your mind, you now consciously control what used to unconsciously control you. You harness the power of the life-changing “Four Success Factors,” to bring your hidden self-sabotaging beliefs into the light of day, so you can get them out of your life! You transform your “inner enemies” into powerful allies that now help you reach your healthy goals — instead of fighting you every step of the way! For the first time ever, you’ll use all your God-given resources — body, mind, and spirit. So instead of operating at 1/3 power (as the world does), you harness all your resources to power you naturally to struggle-free and lasting success! I love you and I love Him for what you have done for me. I have now lost 22lbs! Thank you for being such a blessing to me! Transformation Will Make In Your Life! You Will Never Again Waste Precious Time And Energy “Attacking Symptoms.” Instead, you solve your weight problem once and for all — at its root. You Say Goodbye To The Stress And Struggle of old-fashioned Diet Industry methods. The “Yo-Yo Syndrome” Is Gone! – You get off the weight-loss roller coaster forever, and eliminate those miserable loss/gain-back cycles for good. You Eliminate The Pain, Depression, And Frustration that endless diet failures cause. You Never Again Take Dangerous Drugs, Pills, Or Unproven Herbal “Supplements” There’s no “tampering” with your body’s delicate metabolism, and no chance of dangerous side effects. Your weight loss is safe, healthy, and natural — just as God intended! You Eliminate Forever The Huge Health Risks Of Weight-Reduction Surgery — which usually brings just temporary results — but permanent complications! No Inconvenient Weekly Meetings — And No Need For Them! – Because Weight Loss God’s Way works in your home and on your schedule. Weight Loss God’s Way Is Actually Faster Than Diet Industry Methods! – By solving your problem at its root, you accomplish in as little as 7 weeks what you couldn’t do in years or decades with Diet Industry methods. Your Success Literally Becomes Automatic! – You actually go on “auto-pilot” to get safely to your healthiest weight and stay there! But Best Of All, Every Pound You Lose Is Gone For Good! Which means you finally get to live the healthy life God designed you for! I have so far lost 63 lbs…. I am very pleased. You Get The Huge (210 Page) Weight Loss God’s Way Success System manual, in a printable 8 1/2″ x 11″ format — with 100% valuable content and zero fluff, filler, or “note-taking” pages. You get the complete 7-week program, a bounty of mind-renewing Scriptural references, and more than 80 separate self-customizing Success Exercises (for your mind, not for your body) that will let you identify your personal barriers to success, blast them out of the way, and put you firmly on track for victory! You Get A Tested And Proven 7-Week Program Totally Customized For Your Personal Success – Not some generic diet plan, or another one-size-fits-all, cookie-cutter Diet Industry “solution” that treats you just like everybody else. You’ll get results because you’re finally doing what works for you. You Get The Only Program Solidly Based In Scripture And Confirmed By Clinical Research — not Diet Industry hype – You use a tested solution based solidly in hundreds of Scriptures that confirm (and predate!) 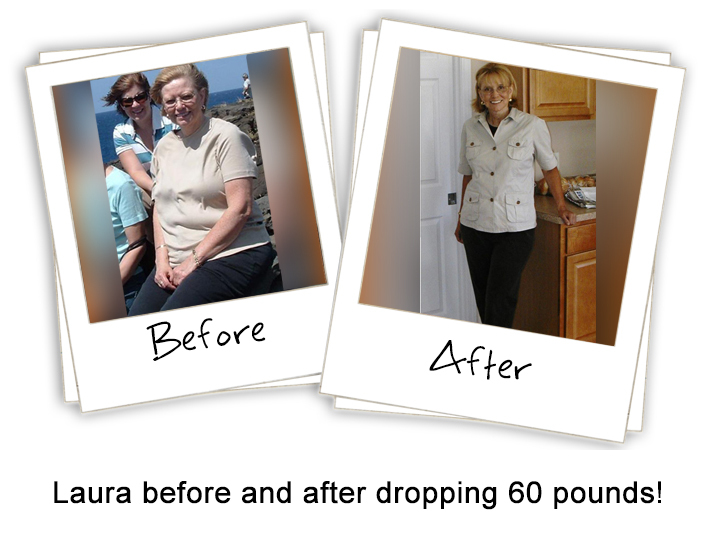 the newest clinical weight loss discoveries. 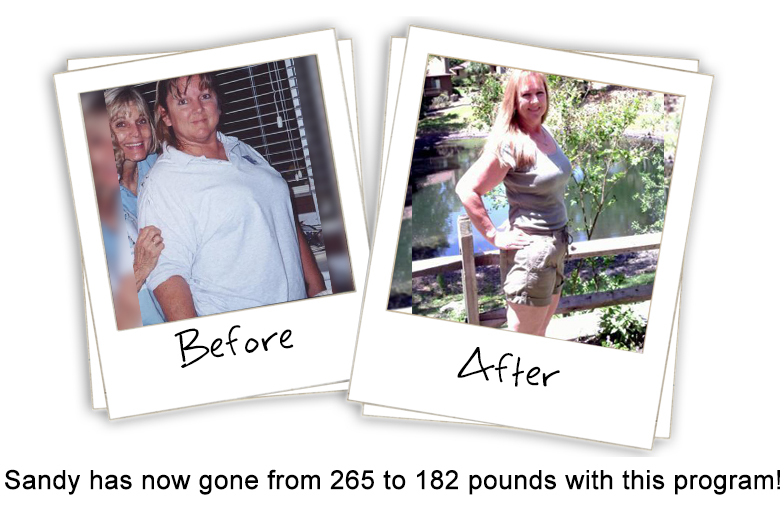 The Bottom Line: You Get A Safe, Easy, Permanent Weight Loss Solution! Fair question. But first let me ask you, what’s the cost going to be — in your own future health and happiness – of doing more of what you’ve always done? How much of this precious life God gave you has already been squandered on dead-end weight loss “solutions” that never worked…and never will? And what would it be worth to finally solve one of the biggest problems in your life — to stop struggling, start succeeding, have more energy, greater happiness, and enjoy all the other incredible benefits of safe and lasting weight loss? Can you even put a price on it? 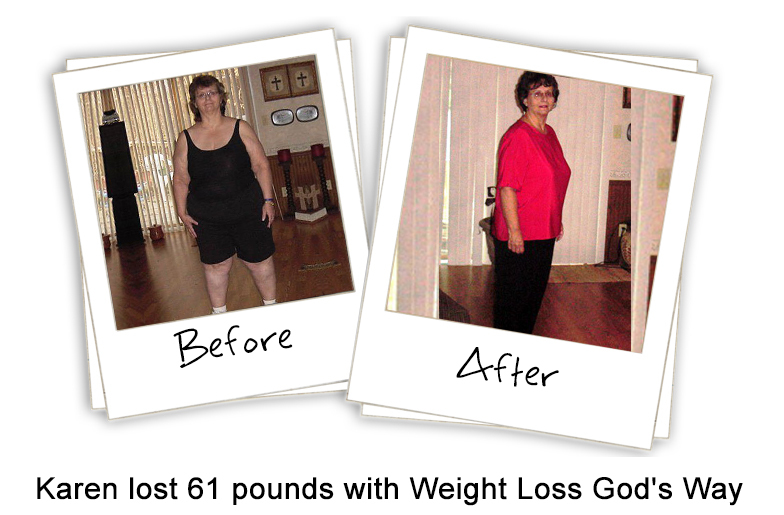 Considering what it has already done for so many others the Weight Loss God’s Way Success System is a tremendous bargain at its retail price of $79. All For Just $79 $27 $18! OK, I admit it. I love it when people tell me how Weight Loss God’s Way changed their life. It makes me feel like the decades of work and research I’ve put into developing this program were all worth it. And the truth is, nothing would make me happier than for you to become the next Weight Loss God’s Way Success Story. But that won’t happen if we don’t get this program into your hands. Now, maybe I’m crazy for doing this, but I don’t want there to be a single reason for you not to own this life-changing program. I’ve been on the program for about 5 weeks now, lost 4kg (8.81lbs), and that may I add is INCLUDING being on holiday for a week + staying in hotels the last 2 weeks while traveling with hubby!!!!!!! I Will Also Give You These Five Very Special Bonus Gifts – Free! Bonus #2: Real Client Letters – A $19.97 Value! – I have received HUNDREDS of letters from clients over the years telling me how powerful this program is. And for a long time I just filed them away. But then a couple people read them and told me how inspiring and relatable these stories were. So gathered all of them (134 pages of them!) into an Ebook that you draw personal inspiration from. Bonus #3: You Get The Exclusive Life & Love Self-Assessment – A $29.97 Value! – This assessment shows you exactly how to identify and heal any areas where the enemy has gotten a toehold in your life. This unique and powerful “problem finder” is an incredibly accurate tool for pinpointing your personal weak spots, so you can turn off the fear, turn on the love, and open yourself to all of the blessings God has waiting for you! Bonus #4: You Get The 21 Hidden Keys To Success God’s Way – A $19.97 Value! – This remarkable tool shows you the 21 most powerful Biblical principles for creating success in your life, and how to get yourself aligned with God’s plan for you. 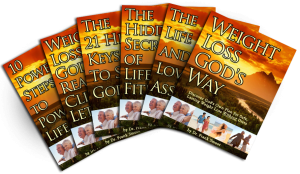 The powerful, life-enhancing principles in The 21 Hidden Keys To Success God’s Way will also help you identify and rise above any barriers that may show up as you move toward your weight loss goals. Bonus #5: You Get 10 Power Steps To Positive Life Change – A $14.97 Value! – Not to be confused with any “12 step” program, 10 Power Steps To Positive Life Change is based on tested and proven behavior change technology. This powerful program is the culmination of everything I’ve learned in nearly 30 years of study about how real people make successful behavior change in the real world through God’s help and through taking action. …All For Just $79 $27 $18! Plus my Lifetime Money Back Guarantee! You know, you can go into any bookstore and get the latest fad diet book for about $15. Why is diet information so cheap? Because — frankly — it’s pretty much worthless. What no diet book will ever tell you is how to fix your thinking, so that you’ll actually do the healthy things that get you to your healthy weight — and keep on doing them, without stress, struggle, or backsliding. The only way to make that happen is to solve your weight problem at its root. 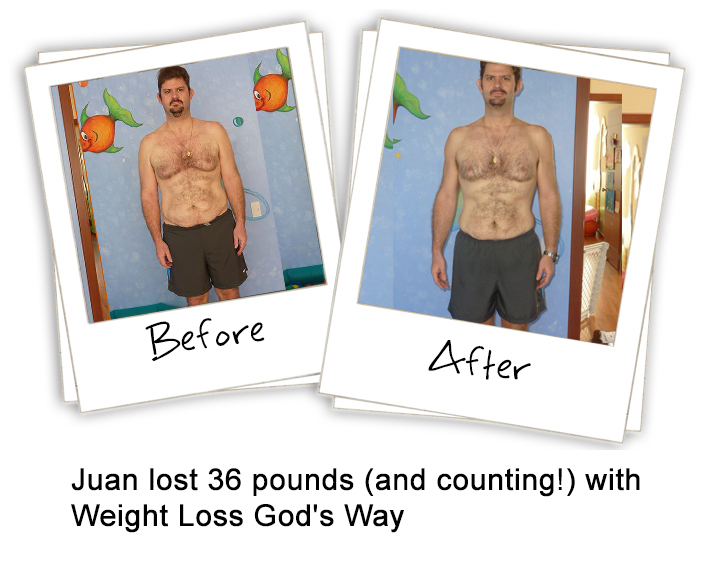 And Weight Loss God’s Way is the only weight loss program in the world that will do this for you! Let’s face it. $18 is much less than the price of dinner for two at a decent restaurant. So I’m going to make you an offer I truly hope you can’t refuse. I Will Personally Guarantee Your Total Satisfaction By Giving You A Lifetime “Any Reason At All” 100% Money-Back Guarantee! That’s right, I’ll take 100% of the risk, and you will have none. Why? You see, I know without a doubt that Weight Loss God’s Way can do for you what it’s already done for so many others. But you don’t know it — yet. So to put my money where my mouth is, I’ll will give you the entire Success System and all five bonus gifts at zero risk to you — fully guaranteed for life (mine, nor yours). And if you don’t like it for any reason at all, I’ll give you a quick, cheerful, no-questions-asked refund. So You Can Try The Entire Weight Loss God’s Way Program And All Five Bonuses Entirely At My Risk! Why would I do this? First, because I don’t think you should bear any risk. That’s my job. Second, because I believe so strongly in the power of this program that I’m willing for you to check it out in the comfort of your own home. But your Unconditional Lifetime Guarantee is also my way of showing my conviction that this program is 100% for real. And if you don’t think Weight Loss God’s Way is right for you — for any reason at all — you’ll get a prompt, cheerful, no-questions-asked refund, and you still get to keep everything. I just don’t know how to make it any easier than that. Is It Your Turn To Be A Success Story? You know, in all my years of coaching and counseling, I have found only one real difference between those who fail and those who succeed. It all comes down to getting rid of a few self-sabotaging beliefs you never even knew you had! The Weight Loss God’s Way Success System is going to get those toxic beliefs out of your life once and for all, and set you free to enjoy the success you deserve! Right now you’re wasting precious time and emotional energy every day you continue to struggle with weight loss the world’s way. Aren’t you getting a little tired of it? You already know where weight loss the world’s way takes you. Are you ready to try God’s way now? Let me show you how to stop dieting, renew your mind instead, and start enjoying the success you deserve! That’s God’s simple formula for lifelong victory. Just Three Minutes From Now You Can Be On Your Way To A Struggle-Free Lifetime At Your Healthiest Weight! When you click on the button below, you’ll be taken to a special order page. We use a totally secure third-party processing company, so your information is kept strictly confidential. Your order is processed immediately, and you’ll get a receipt for your purchase with a transaction number and a link to where you can immediately download the Success System and all the bonuses — and you’ll be on the proven path to Weight Loss God’s Way! It all takes less than a minute! When you get the Main Manual, you’ll see that it shows you exactly what to do on Week One — Day One, Week One — Day Two, and so on. Just read the material, do the daily Success Exercises, and join the growing list of Weight Loss God’s Way success stories! Remember, the opportunity is all yours, and the risk is all mine. All you need to do is take the next step! So stop struggling, do it now, and start enjoying Weight Loss God’s Way! PS: The Lord assures us He will never leave us nor forsake us. But neither will He do for us what we can and should be doing for ourselves. That’s why He gave us the freedom to choose His ways — instead of forcing them upon us. Your Heavenly Father absolutely wants to give you every good thing. But He’s not going to just drop it into your lap. To reap the rewards God has in store for you, you have to do your part as well. And that part involves action. You can keep on doing the “same old, same old from now on,” or you can take action today and make a change forever! PPS: If you got down on your knees and prayed to God for a real and lasting solution to your weight problem, can you imagine in your wildest dreams that His answer would include the words “Atkins,” “Jenny Craig,” or “Bowflex”? *This website is not intended to provide medical advice or to take the place of medical advice and treatment from your personal physician. Visitors are advised to consult their own doctors or other qualified health professional regarding the treatment of medical conditions. 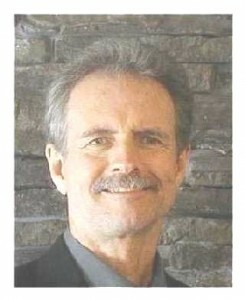 The author shall not be held liable or responsible for any misunderstanding or misuse of the information contained on this site or for any loss, damage, or injury caused, or alleged to be caused, directly or indirectly by any treatment, action, or application of any food or food source discussed in this website. The U.S. Food and Drug Administration have not evaluated the statements on this website. The information is not intended to diagnose, treat, cure, or prevent any disease. 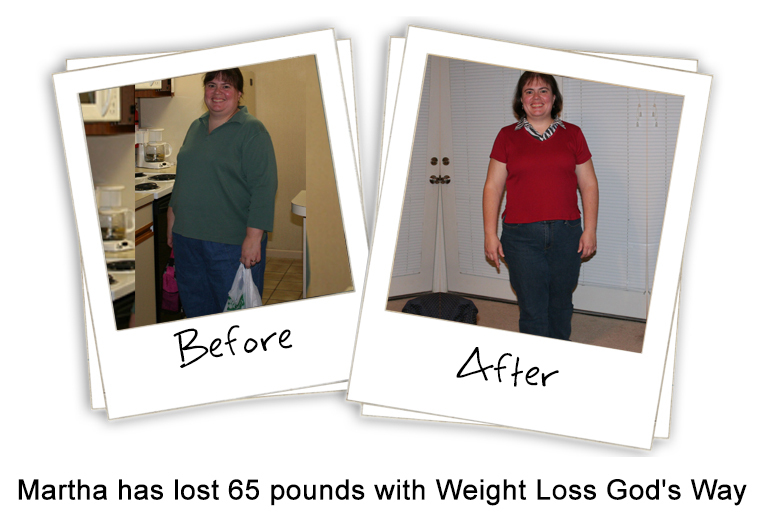 All testimonials are from real customers of Weight Loss God’s Way. There is no guarantee that you will achieve the same results. As with anything your results may vary.